Welcome to the home of English para-swimming results on the competitive swimming hub. Multi-classification (MC) events have been included as part of the National Championships for many years. Head to our Nationals pages to view para-swimming results from our Summer National Meet. It is a requirement of Swim England regional and county championships to include MC events while the eight Swim England regions also occasionally hold specific para-swimming competitions and championships. Click here for the Swim England East Region website. Click here for the Swim England East Midlands Region website. Click here for the Swim England London Region website. Click here for the Swim England North East Region website. Click here for the Swim England North West Region website. Click here for the Swim England South East Region website. Click here for the Swim England South West Region website. 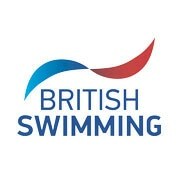 Click here for the Swim England West Midlands Region website. British Swimming run the annual British Para-Swimming International Meet (BPSIM), often used as a trial event for the season’s major championship. You can view para-swimming results from BPSIM on the British Swimming website, while results from major international competitions are available on the International Paralympic Committee (IPC) website. The English Federation of Disability Sport (EFDS) also run national level para-swimming competitions, including the National Short Course Championships and the National Junior & Youth Short Course Championships.